I guess wearing anything other than jeans and a t-shirt sparks curiosity. When I “dress up” I feel accomplished and polished, ready for what the day has to throw at me. Yes, I do wear jeans and cozy clothes as some may ask, especially on Sunday mornings. However, I feel most comfortable in a a full bodied skirt and a pair of heels. And, no it does not cost a fortune to dress this way. 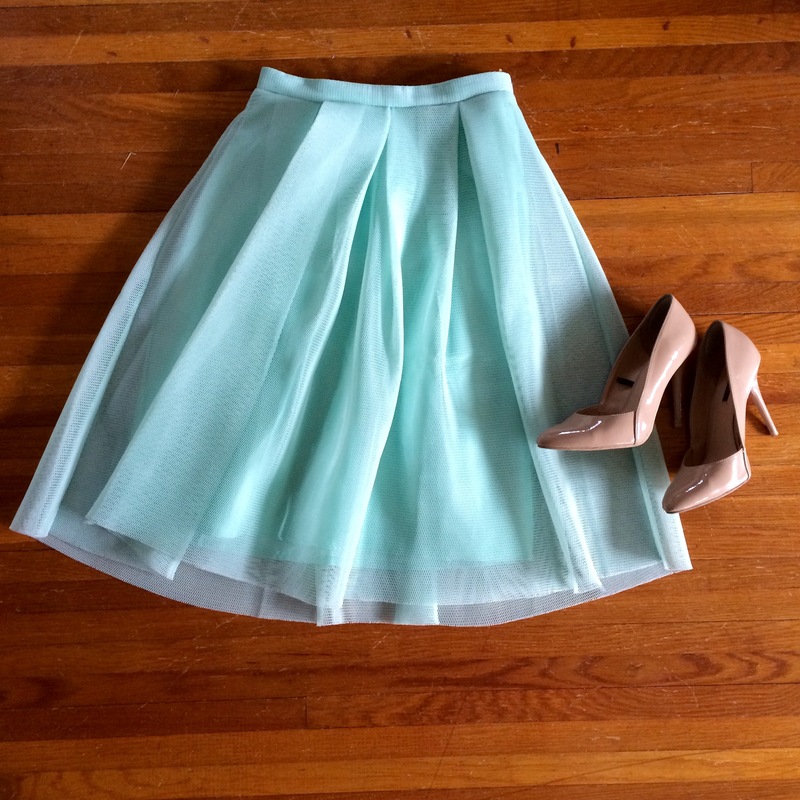 I just purchased this adorable Tiffany blue skirt for $33 at a local boutique, and the button up shirt and heels are both from Forever 21, priced less than $20 each. Don’t feel ashamed or intimated to throw on something other than an overused, old pair of jeans. What’s the worst that can happen? You’ll end up being the best dressed in the room. < Previous Last Friday Night! Happy to know I’m not the only one who feels this way! I got so many odd looks when running errands around town in this outfit. Funny how style differs from coast to coast, and everywhere in-between. Thank you! I spotted it in a local boutique, I could not pass it up. Perfect for springtime! Thanks for reading and the follow! Great blog as well, always fun to connect with a fellow fashion blogger! 1) I am always asked the same question of why are you so dressed up? and it I find it humorous because most of the time I will be in jeans and a nice top. I’m like you, I feel best when I am dressed up. 2) that skirt is SO AMAZING AND BEAUTIFUL!!! Yes! Wearing a skirt or nice pants is just as easy as putting on a pair of blue jeans! And the skirt will definitely be making another reappearance soon. It was so much fun to wear. I couldn’t agree more! I feel so much more prepared for the day in a fantastic outfit. But, nothing can beat a pair of comfy Lululemon leggings on a Sunday morning! Yes! Since when is dressing fabulously only allowed for “special” visits or events?! Lovely skirt colour is gorg. I think more ppl should dress up it always makes you feel better and a pair of heels always makes any outfit look better. Heels always complete an outfit, especially ones with amazing detail or pop of color. I have another post coming tomorrow you should check out. It’s about a beautiful (and cheap) pair of heels I recently purchased. 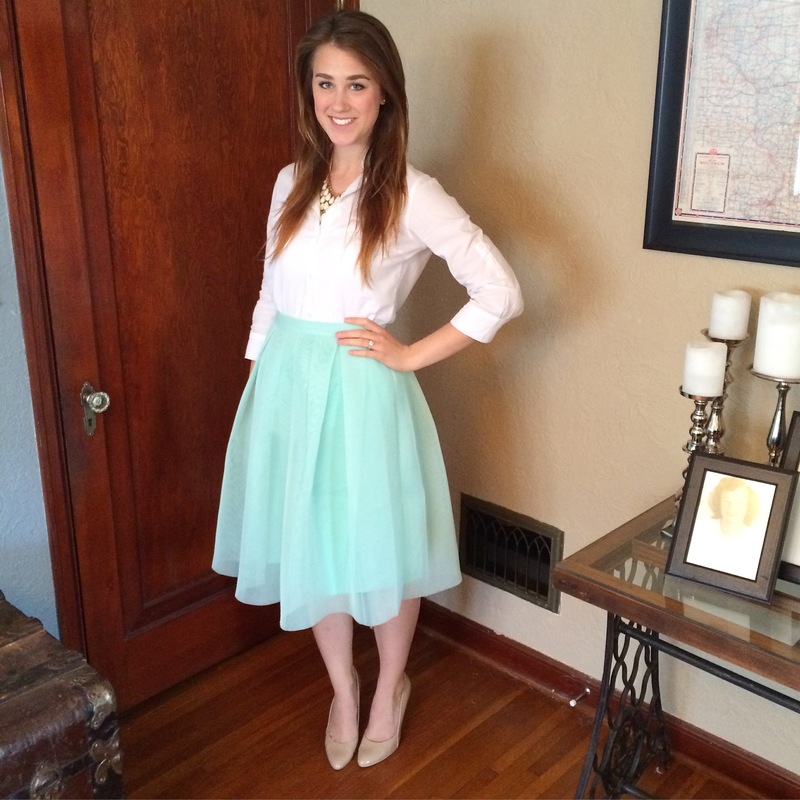 By the way, I love your post about midi skirts! I have been so in love with them recently. Easy to wear in the changing weather; not too short and not too long!